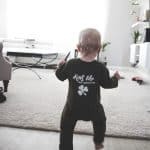 Here’s an easy and beyond cute St. Patrick’s Day Baby Outfit idea! 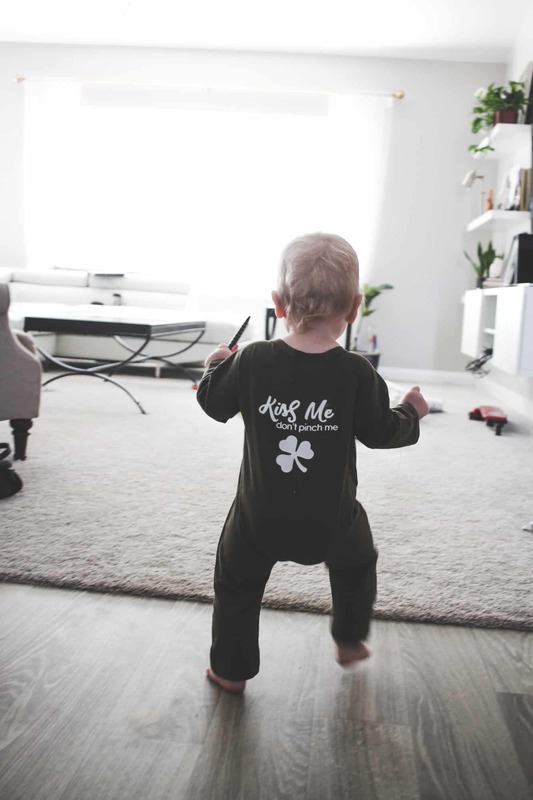 Customize your own onesie, shirt or romper using this free cut file for HTV. 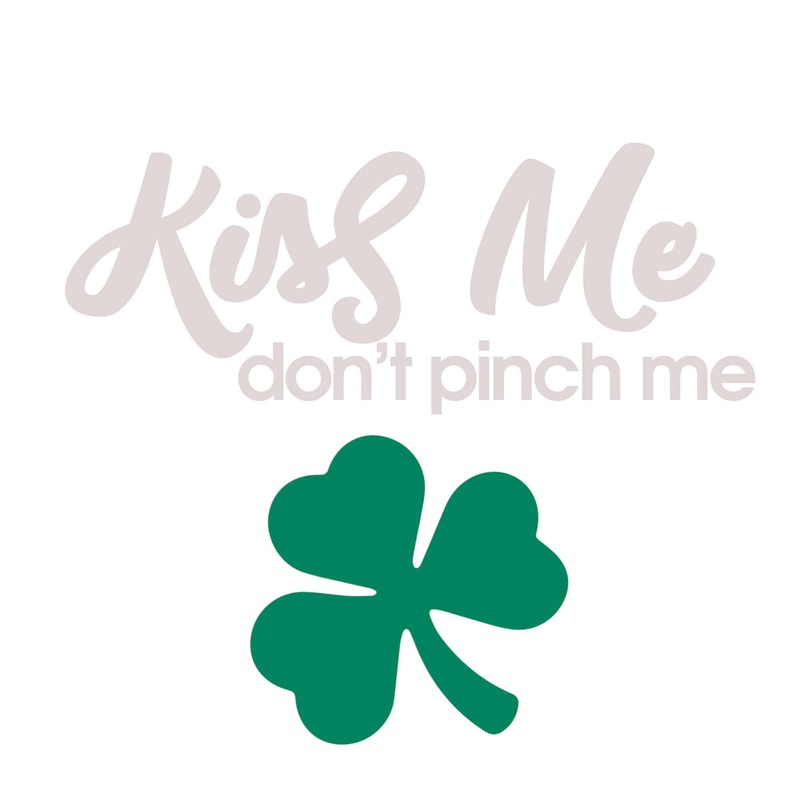 Don’t get pinched this St. Patrick’s Day! 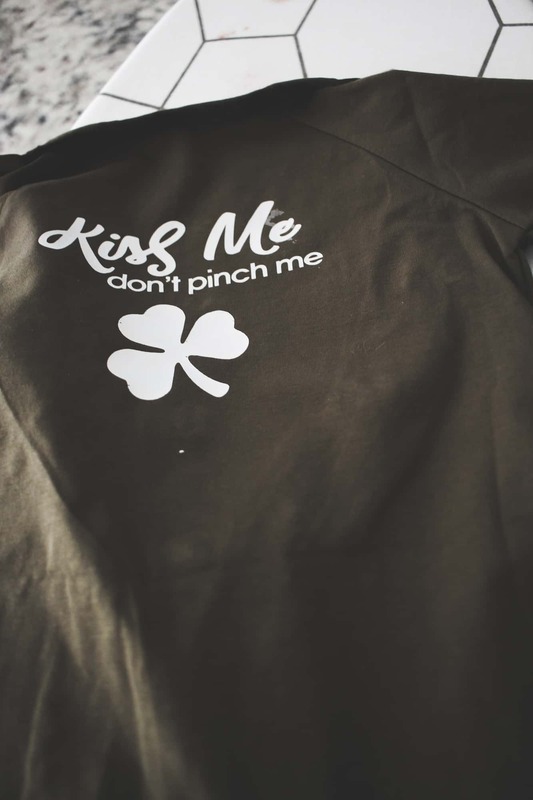 This little cut file (free just for you) will help you customize any onesie you want to use for St. Patricks day. I opted for a cute army green jumper. Start by using this file and cut it on your Cricut! 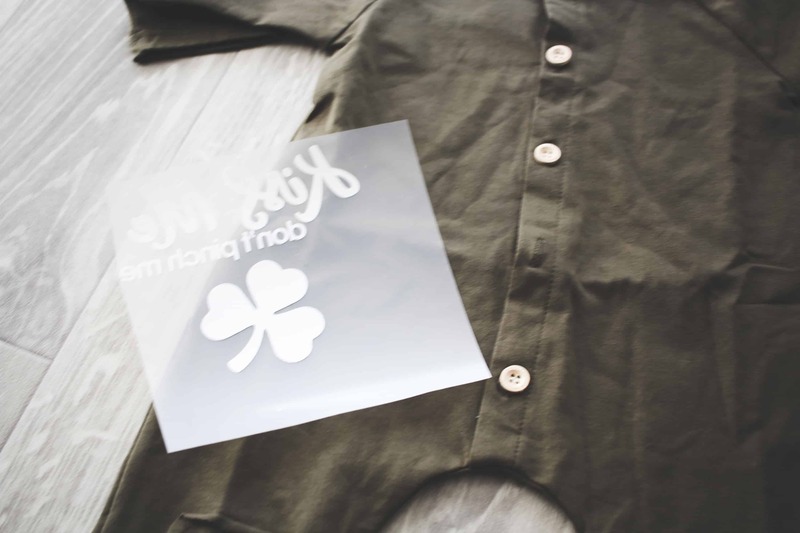 If you need tips and advise of how to use heat transfer vinyl I wrote it all out for you here. One trick I’ve learned is to always iron with the press cloth after the plastic has been removed. This is when it will really attach to the cloth. 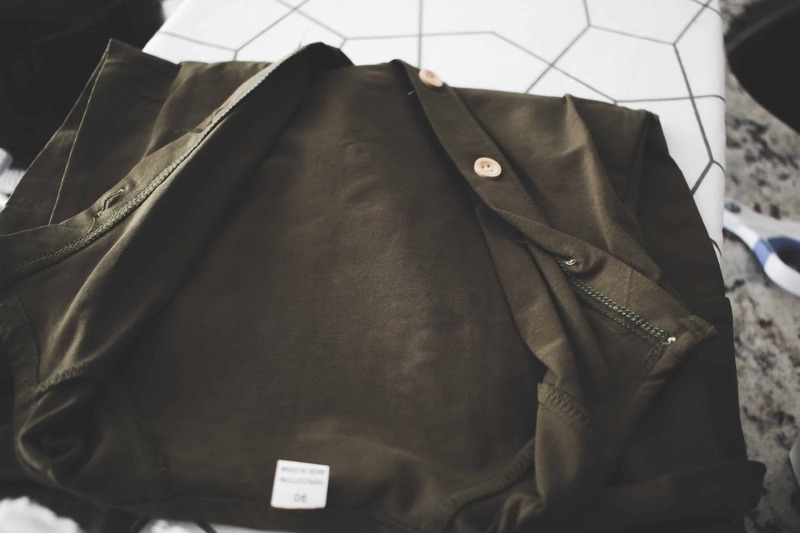 I would also suggest you wash the outfit on a gentle cycle and if/when the letters lift, reiron them back on. Doing this will prevent it from happening again! I loved how this turned out and I can’t wait to have him wear it all of March! If you liked this post you may also like this mousepad I created with the Cricut. I also have a post to teach you how to customize your own phone case!